Three prominent New Jerseyans will be honored at the Newark School of the Arts’ Annual Tomorrow’s Stars Tonight Gala: Frank E. Ferruggia, Henry Rinder, and Cynthia Holiday. The School’s signature fundraiser is set for Tuesday evening, April 14 at New Jersey Performing Arts Center. Board member Heather Choi will serve as the Dinner Chair once again, and James Roe, President and Chief Executive Officer of the New Jersey Symphony Orchestra will serve as the Master of Ceremonies. The Newark School of the Arts celebrates these individuals for their legacy of support for the School and the local community. The event showcases the School’s talented students in the performing arts, visual arts, dance and music. Frank E. Ferruggia, Esq. will receive the 2015 Corporate Honoree for his service and dedication to the City of Newark. Chairman of the Newark Regional Business Partnership, Mr. Ferruggia is also a partner with McCarter & English, a generous, long-time supporter of the School. Frank has been instrumental in improving the business landscape in Newark through his work on the Annual Greater Newark Holiday Fund campaign, which has been steadily increasing in recent years to exceed $300,000 in donations and contributions. As a tax attorney with Newark-based McCarter & English, Mr. Ferruggia represents a number of downtown property owners in the Brick City. Henry Rinder, partner with Smolin Lupin & Co. P.A. will receive the 2015 Service Award. Mr. Rinder served on the board of the Newark School of the Arts for more than 20 years, and as the President of the Board for the last five years. Henry is recognized for his tireless dedication, generous support, and engagement with the School for two decades. Cynthia Holiday is an accomplished jazz singer and song stylist who performs all over the world. Ms. Holiday is an alumna of the Newark School of the Arts, and a former teacher as well. Ms. Holiday and her family hold a special place in the legacy of the Newark School of the Arts, extending back to the School’s founder, Stella Lass, in 1968. “This is a particularly special year to celebrate Tomorrow’s Stars Tonight as we recognize three important members of our School’s community,” said Curtis Johnson, Board President of the Newark School of the Arts. “Each of these individuals has made a significant contribution to our School and our city, and shares a special place in our 48 year legacy,” Johnson said. Major sponsors of the 2015 Tomorrow’s Stars Tonight Gala include Prudential, McCarter & English, LLP, PricewaterhouseCoopers, Greenberg Traurig, Inter-Atlantic Group, Investors Bank, Smolin Lupin & Co. P.A., and the MCJ Amelior Foundation. The Annual Tomorrow’s Stars Tonight Gala is the major fundraising event for the Newark School of the Arts, attracting 200 of the community’s most philanthropic individuals in support of Arts Education in Newark. Tomorrow’s Stars Tonight showcases the extremely talented students of the Newark School of the Arts, highlighting the performing arts, dance, music, and visual arts. All proceeds from the Gala support the Newark School of the Arts’ mission to change the lives of youth through access to quality education in the performing and visual arts. It accomplishes this by providing excellence in sequential education and training, offering an emerging state of the art learning environment, accepting students of all ages and abilities, and partnering with other successful arts educators while maintaining affordability and accessibility. To support this event through purchasing tickets or ads, please contact Amanda Parker at 908-322-1100 or aparker@evergreenpr.com. 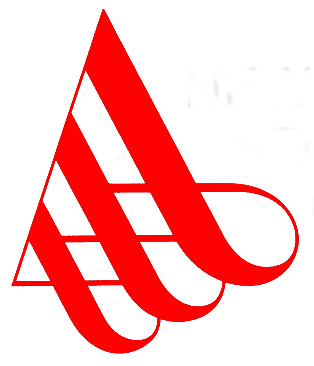 About the Newark School of the Arts: The Newark School of the Arts is the only organization in Newark, NJ providing long-term quality training in music, dance, drama and the visual arts to students of all ages. Since its inception, the School has served more than 44,000 individuals, and continues to provide arts education for more than 700 students weekly. 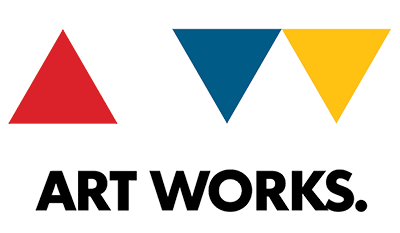 Newark School of the Arts recognizes areas in need of arts education programming and partners with local schools across the community in order to address those needs, including public pre-schools, charter schools, and independent schools. For more information about the Newark School of the Arts, call 973-642-0133 or visit www.newarkschoolofthearts.org.